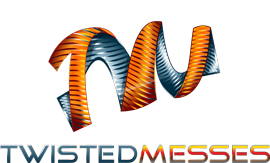 Twisted Messes LLC and Dovpo USA take great pride in our products. Every device exiting our factories, passing through our authorized retailers, and making it into the hands of our customers enjoys a one year warranty against manufacturer defect from date of purchase. Damage through accidents, user error, mishandling, abuse, or modifications are not covered under this warranty. To claim your warranty, simply ship your device, a copy of your original purchase receipt, and a brief note containing a description of the issue you’re experiencing to our USA repair facility located on this letterhead. The more information you give us, the faster we can process your warranty and offer a repair or replacement at no additional cost to you. An optional Warranty Return Form is available on the Dovpo website: http://www.dovpousa.com, simply click the “WARRANTY” link at the top of page to access it. Though not required, this form helps to expedite warranty service of your device. Additionally, to protect the market value of our devices, warranty service is not available for devices purchased below a minimum adjusted pricing threshold. If you see a retailer offering a device outside these prices, please be aware they are not an authorized Twisted Messes or Dovpo retailer, and the potential likelihood that their products may be cloned or otherwise counterfeit is relatively high. The Manufacturer’s Suggested Retail Price (MSRP) for the Twisted Messes Special Edition Guardian 1.5 is $129.99, and it may be priced no lower than $99.99 to retain your wholesale account and one year warranty.